Nigeria Professional Football League Champions, Plateau United have made an appeal to Lagos football fans to turn up in their numbers to cheer them up against visiting USM Alger in their Confederations Cup tie on Thursday. Plateau who were demoted to the Confederations Cup after crashing out of the Champions League, are to play their matches in Lagos following security concerns in Jos, their base. “CAF gave us the option of Godswill Akpabio International Stadium, Uyo and the Agege Stadium and we picked the better venue,” Plateau team manager, Abel Iliya revealed. 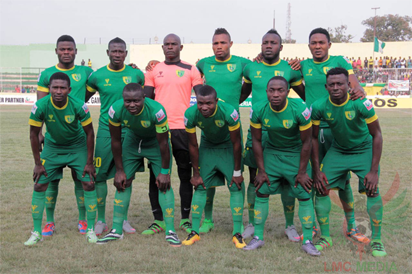 The post Come and cheer us up, Plateau United beg Lagos fans appeared first on Vanguard News.